Lesley-Ann Jones is an award-winning music journalist and author. 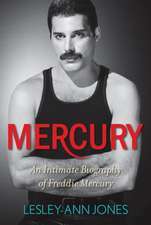 She toured with Queen and has unrivalled access to the surviving members of the band. She lives in London. Visit her at LesleyAnnJones.com. De (autor) Lesley-Ann Jones et al.